Have you ever heard about Musing? 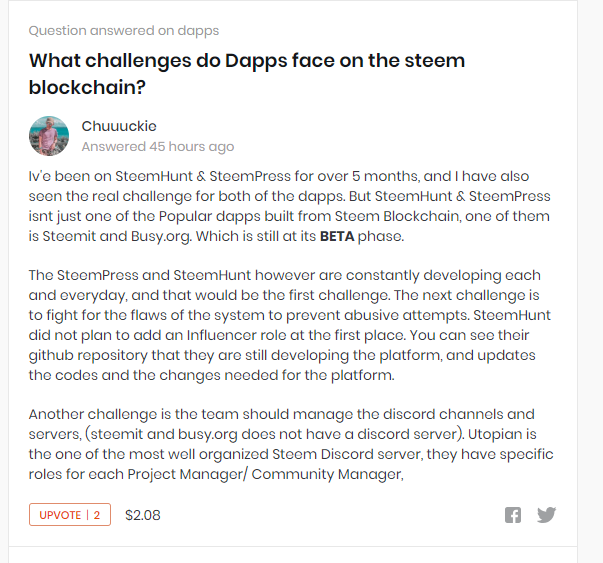 Musing is a Decentralized question and answer platform powered by the steem blockchain, in a nutshell you simply answer some questions and you give meaningful answers – just like Quora. 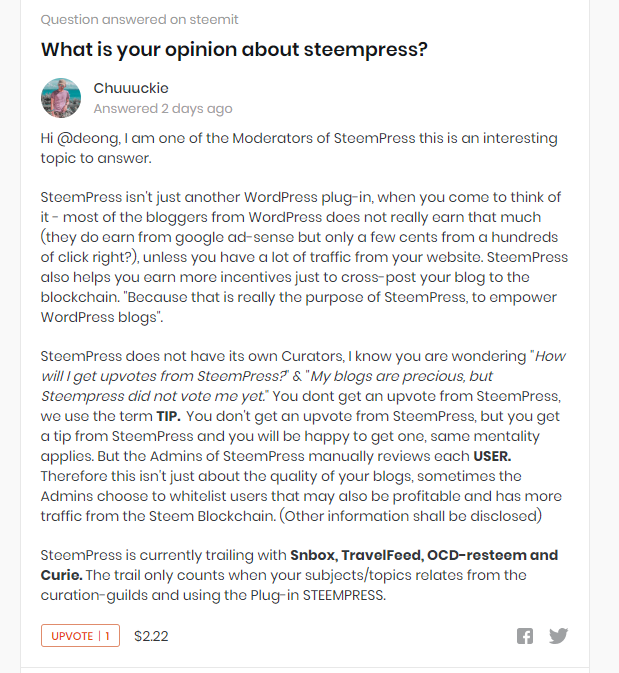 But musing.io lets you earn Steem Tokens from the content you gave. Which by the way Musing has a very interesting curation rules – which every time you answer, curators manually review it. I will give you some examples on how to answer and give you a small tip from the curators of Musing. As far as I am concern, you cant cheat the System from musing. 1. Because it is not yet an Open Source, 2. Because they have curators and 3. Because its very difficult to spam with meaningful comments. 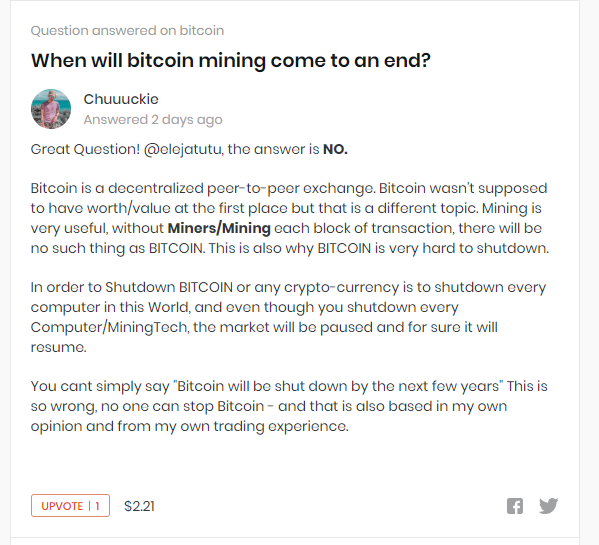 At least you could answer it with a sense, you cant just answer it without knowing the question – you need to have an experience from it, or a knowledge from the topic before you answer. Also join their Discord Server here See you There!